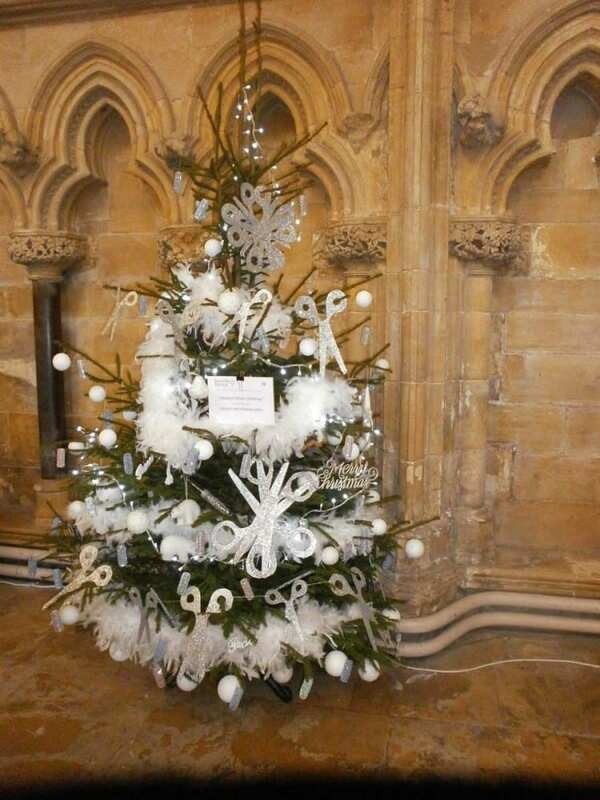 At the Christmas Tree Festival in Beverley Minster I instinctively searched for the tree that was glittering white, not for snow, but to be reminded of the glorious patterns Jack Frost painted on window panes in my childhood. I somehow miss them. They looked like stars or ferns in delicate lace, fragile and never the same. That we had thick socks and pyjamas and mittens didn’t matter. The electric stove or a paraffin heater were turned on in the morning to warm our bedroom and my elder sister warned me that the white patterns on the panes would melt. They did. She was pleased, I wasn’t, but she had chilblains and I didn’t. Frost killed the bugs in the ground, we were told at school. The nasty bugs. I was puzzled how to sort out the good bugs from bad. Wasps weren’t bugs, but they were bad. They ate my silkworms, which I vaguely thought were bugs as proper worms were long and stretchy. In a mild winter birds pecked the soft earth. They too ate the bad bugs. Birds were good. No wonder my childhood world picture was somewhat muddled! Is it much clearer now? I was firmly told off for cursing woodpeckers, but I had my reason. A few years ago a friend asked me whether I liked to have the sun shining through a hole in the shutter of our bedroom in Italy. A hole? In the shutter? Sarah had been staying in the small annex called La Torre, and found the hole in the pine shutter. I had it patched by our carpenter. Other holes followed while we were away. The carpenter filled them in and told us that our neighbours in the valley had suffered in the same way. Woodpeckers were nesting lower down. ‘Fine,’ I replied, ‘but they have plenty of juicy bugs in the ancient oak tree just outside our windows. Why do they want to make holes in the pine shutters? The woodpeckers ignore the chestnut ones on the main house.’ No one had an answer. I just thought the birds had perverse tastes and all the shutters were eventually covered in metal painted brown to look as if nothing had changed. Fortunately we don’t notice the metal as the shutters are open when we are in the building and we leave them open, mostly, in the daytime. To return to frost, I now recall the group I who heard my lecture in the Houston’s Horticultural Gardens, telling me that they wanted frost to be able to plant the spring bulbs. Without frost, perhaps uncommon in Texas, bulbs didn’t flower. It’s so warm today at the start of 2015 that I fear we haven’t had enough frost and if we continue to enjoy mild winters, more of the North Pole might melt, the waters rise – we are not far from a flat coastline – cities will be submerged and the Gulf Stream, our gift from Mexico, diluted or diverted. Without it we’d be a freezing island. No bugs of any sort. If Jack Frost doesn’t visit Italy for a good space of time this year to kill the flies that lay the eggs that hatch into bugs that eat the olives, then the 2015 harvest will be a total disaster like the 2015 one – something that no Tuscan can recall ever happening before. For one more year they will try to return to the good old days and produce the pure Tuscan olive oil. If frost doesn’t kill those flies and another harvest is lost, then the trees will be sprayed to kill the flies as happens in frost-free olive producing areas, and that special Tuscan extra virgin pure olive oil will be consigned to history, another victim of climate change. After some years’ absence, a woodpecker returned last summer to peck a hole in the remaining unprotected shutter – the small bathroom one. It is now covered in metal, but I fear now for the doors. The 200 year old oak tree that should have been their larder fell down over a year ago, but there are plenty of other old trees with juicy insects. I wonder whether they like the linseed oil that we put on the shutters to protect them from wind and rain? They might get a ‘high’ from it! Why, then, didn’t they peck the linseed on the shutters of the main farmhouse? Then I suddenly realised the obvious. More expensive chestnut wood is harder than pine, which is soft and has the sort of sap taste woodpeckers might delight in. Can anyone’s world picture not be topsy-turvy? And with that, an intriguing New Year to you all!